Our Tarrytown / Connecticut regional headquarters is located at 120 White Plains Rd. Tarrytown, N.Y. 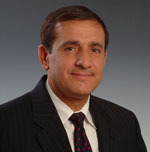 Locally, our customers bank with us at 34 offices across 11 counties, including: Fairfield, Hartford, Middlesex, New Haven, New London, Tolland and Windham, Ct., as well as Bronx, Putnam, Rockland, Westchester County, N.Y.
Frank P. Micalizzi serves as Senior Vice President and President of M&T Bank’s Tarrytown, NY / Connecticut region. In this role, he is responsible for the middle market, commercial real estate, health care and not-for-profit commercial relationships teams. Micalizzi began his career at M&T Bank in 2009 and previously served as senior group manager for the Tarrytown middle market group. He is active in several local charitable organizations in both Connecticut and New York. 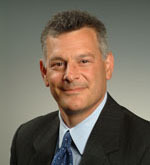 Michael Weinstock is Market President in Connecticut. Weinstock has many years of experience managing M&T’s commercial real estate lending in the Tarrytown-Connecticut region. He joined M&T in 1996 and previously worked as a middle market lending group manager. Within the community, he is active in the March of Dimes Rockland/Westchester County Division and the March of Dimes Connecticut Division. Previously, he was President of the Men’s Club and active for many years with the Foundation Board for the Jewish Home for the Elderly in Fairfield, Ct. Weinstock also serves as the Vice Chairman of the Executive Committee of The Housing Development Fund in Connecticut.